Barramundi is an Australian fresh and saltwater fish popular for sport fishing and eating. The fish can and is being raised in aquaculture envrions (i.e. farmed) in various part of the world. Barramundi have white, flaky flesh, though the larger freshwater ones commonly carry a lot of body fat. Saltwater barramundi is the preferred fish for eating over their freshwater cousins - as with other freshwater fish, the flesh is considered to have a 'muddy' taste. 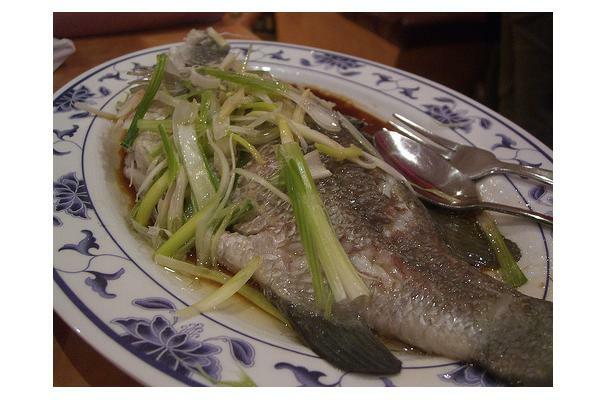 Whole Barramundi can be prepared steamed (such as in Asian style with ginger, shallots, rice wine and soy sauce), while fillets are commonly grilled, broiled or batter-fried (as in fish & chips).